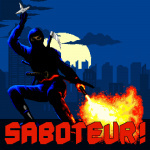 The 1985 8-bit stealth action-adventure game Saboteur! is making its way across to the Switch eShop on 9th November for the price of $8.00. 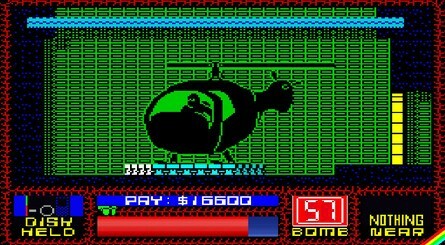 It was originally developed by Clive Townsend, published by Durell Software and released on multiple platforms including the ZX Spectrum and Commodore 64. Did you play this game back in the day? Will you be downloading it from the eShop when it arrives on Switch? Tell us below. Meh too outdated for my taste though I'm sure the UK people in here would like it though. 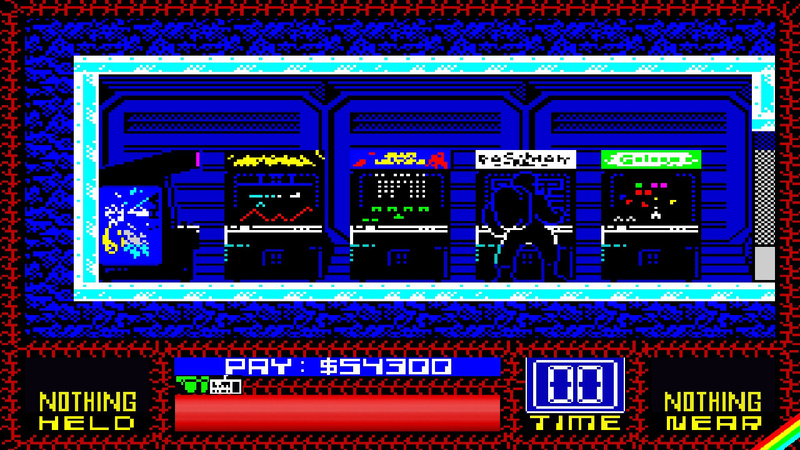 It's from the age of the ZX Spectrum after all, a platform way before my time. I checked it out on the eShop but I am not truly interested. That era of gaming doesn't hold as much appeal for me as it used to, though the graphics and gameplay doesn't look too bad. Huh. The Messenger is a ninja action game made by a studio called Sabotage. Sounds very similar to this. It had this along with Turbo Esprite (not to be confused with the Gremln Game), Critical Mass, and Combat Lynx. Loved my Spectrum. Here's hoping for Bak 2 Skool and Starquake updates. Guess Bully covers the former though. I have it on my Amstrad CPC 6128 too. Had this on my C64 and liked it, but I can think of other games from that system that I'd like to see before this one. Like Turrican and the Last Ninja (and quite a few others). Finding the train and the helicopter in the article screenshot felt like real, amazing events - simpler times and game pleasures back then! And I think I'll leave this for memories, it could never feel the same now. Still have my Speccy and C64, legendary 8 bit Micros. ...but I admit that the sequel (one of the very first 'metroidvanias' I ever played) is quite superior. Okay I absolutely love Spectrum games, they're my first memories... ever. I even helped crowd fund the ZX Spectrum Next. So yeah this is a game for me! Blimey, the ZX-81 mode is very clever! Bravo. Nice. I’ll definitely be adding this. Thought maybe it was the 2010 game when I first glanced the title of the article. This is a bit past my time, but it looks decent. @OfNullAndVoid Turrican blew my mind back in the day. Also remember Sabotuer being amazing as you could chose when to drop into the level. That was cool as a kid. Instant purchase for me, this was easily one of my favourite games on the spectrum. Brilliant! What 11 said. Almost exactly. Not so keen on turrican though. 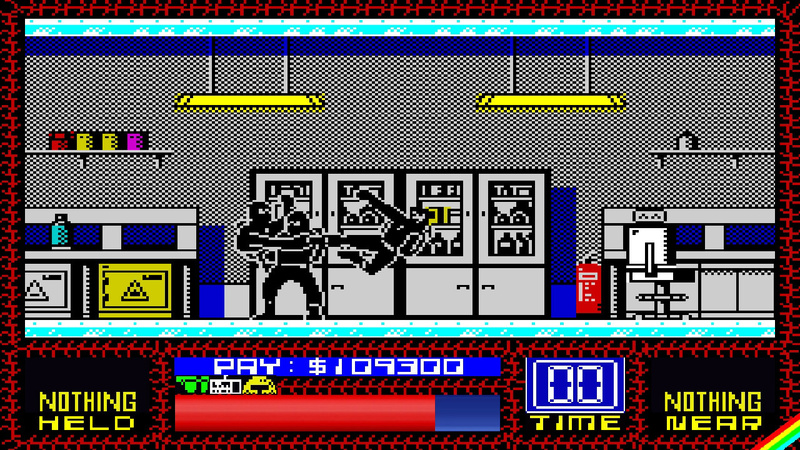 I would rather a virtual console like on Wii, and a working Last Ninja 3 would be nice, rather than the rubbish they dropped on Wii. Won’t be able to resist this. 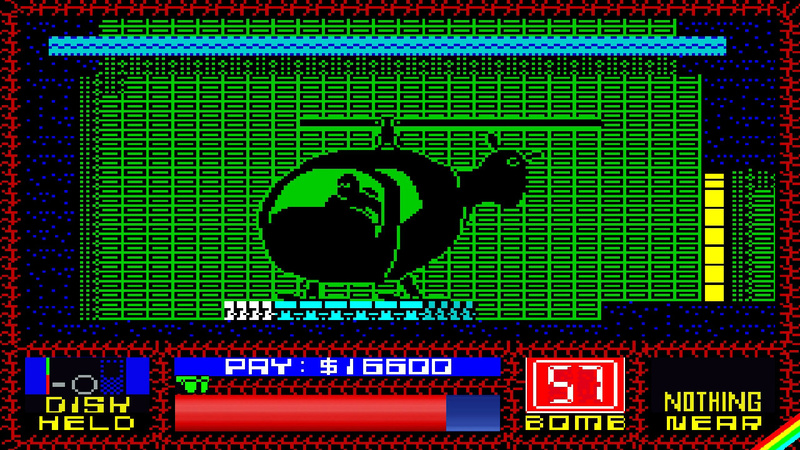 Loved it on the Spectrum. Piece of gaming history. @Axelay71 I still curse the day I gave my ZX Spectrum to my cousin. He never used it and one day it was gone. I never played it back in the day, I had an MSX and the nearest I was to a Speccy was the hdsjkjgfy ports they made, but I've enjoyed the Spectrum titles in Rare Replay so far and with all the extras and the price of this release, plus the good rep, I'll definitely buy it. Not good mate, get on EBay get yourself another Speccy most have composite conversions for a little extra also a site called the future was 8 bit sell SD card devices for Speccy as well. If it was updated, Yes. AS it is, No. The game is clunky and really difficult. I only played it back then because they stole the loading screen from The Revenge of the Ninja movie. Love the idea of having different filters for the different systems, so you can get it to look like C64, Spectrum or CPC.